As a Primitive Baptist I am often asked regarding my adherence to various historical creeds of the Christian faith. 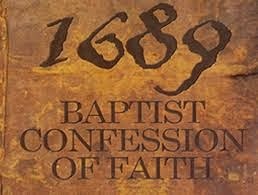 Many assert that apart from affirming the Second London Confession of 1689, or the Fulton Confession of 1900, etc., one cannot be considered an "Old Baptist." But is one's claim to being an Old Baptist beholden to one's allegiance to the historic creeds of the last few centuries? 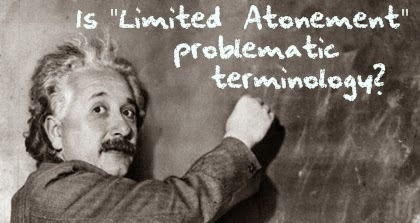 Is "Limited Atonement" Problematic Terminology? I cannot count how many times I have heard ministers who claim to believe in the five points of grace (TULIP) point out that the phrase "limited atonement" is either unfortunate, inaccurate, or otherwise less-than-ideal in describing the atoning work of Jesus Christ. This disclaimer seems to have become de rigueur among many who claim to teach salvation by sovereign grace. For the most part I believe those who distance themselves from the phrase "limited atonement" fall into one of three categories. 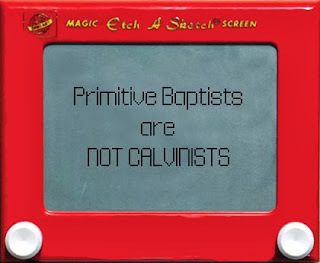 They are either purveyors of non-grace theology, baseless pontificators, or copycats. Limited Atonement - almost universally rejected by professing Christians today. In a recent internet dialog I was asked to provide some examples of where I see the doctrine of limited atonement revealed in the scriptures. I believe there are numerous verses in the bible that support the doctrine of limited atonement, but I provided these three as good examples.